I`m always needing spare vehicle hatches for rhinos and the going rate on ebay is £2 a hatch plus £2 postage. As I`m not going to pay that,time to have a go at making some myself . 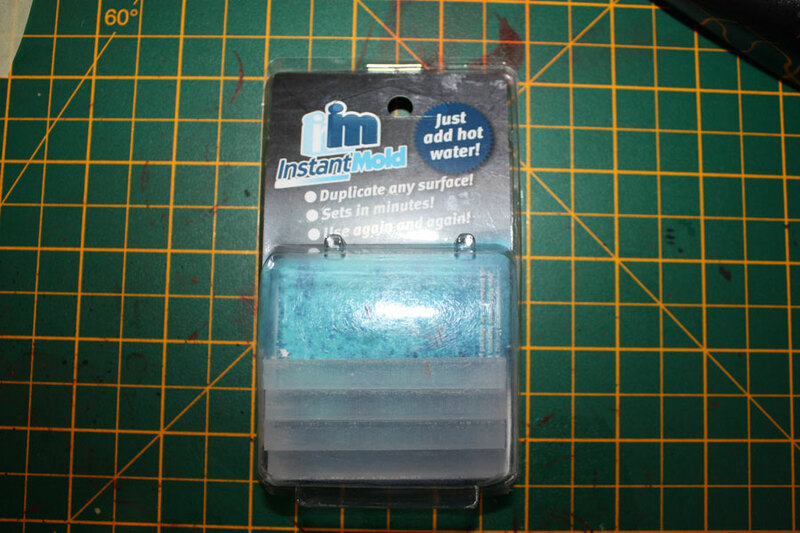 Bring on the Instant Mold at £12 a packet. You get six mold sticks and you can re-use them as many times as you like. 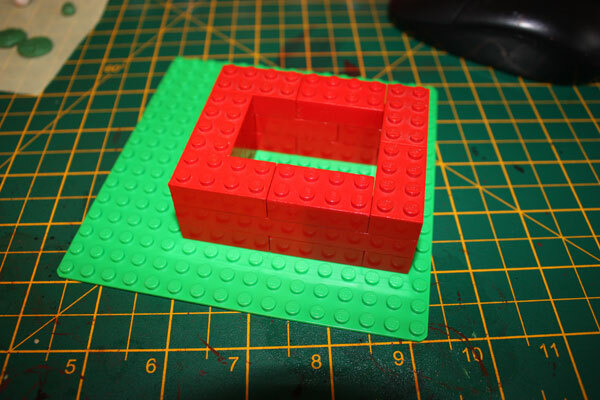 First of all build yourself a quick lego molding cast. Next boil a kettle and drop a couple of Intant Mold sticks into a bowl of boiling water for about 2mins. put it in the bottom of the lego cast .Press it down firmly. part of the hatch is sub merged. The top of the hatch should still be visible. Now put the next bit of Instant Mold on top of the hatch in the cast and press it down firmly. Leave for 20 mins to cool. in half so you have a top and bottom mold. 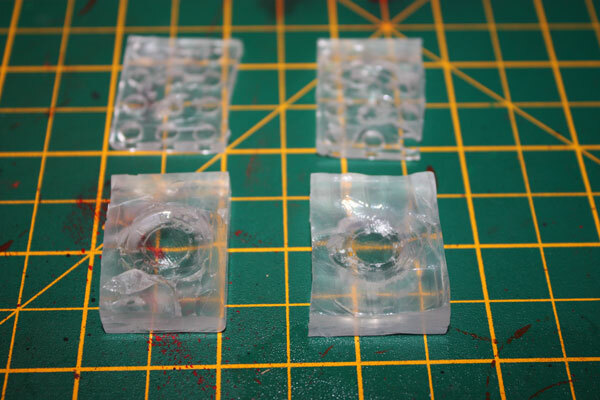 The picture below is the molds cut in half. I did two hatches at the same time. 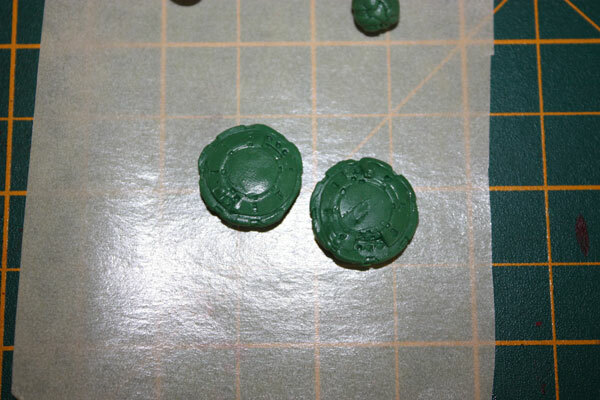 Now fill the molds with green stuff and then stick the molds back together(top and bottom) and leave to dry. 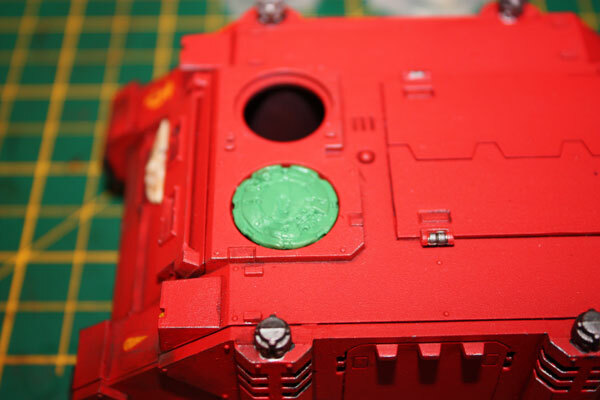 Once the green stuff is hard gently remove it from the mold and you have your cast rhino hatch. Trim the green stuff to remove any flash. Insert into rhino and check it fits. Granted the mold is not perfect but this was my first attempt and apart from the drying time of the green stuff its a very quick and easy process. Its also a lot less money than buying the parts and open ups loads of possibilities for duplicating parts and scratch building your own bits. When the paint is on,who will ever know its a mold ?